Jon and Lisa Duke invited Patti and I to join them for a Red Sox game. 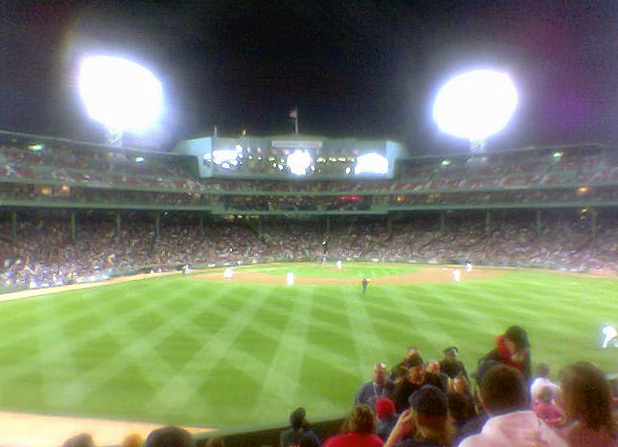 We sat in the bleachers and watched Kurt Shilling pitch and Big Papi hit his 54th home run, his last of season. 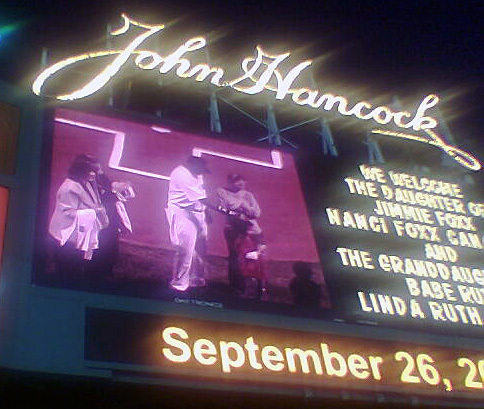 Before the game there was a brief ceremony honoring David Ortis' recording breaking season. 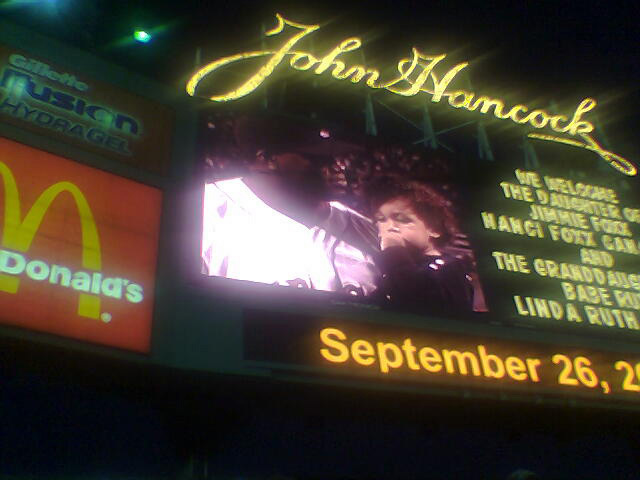 The first two photos show the ceremony on the jumbo tron. The last photo is our view from the bleachers. The photos were taken with my cell phone camera.